The Infinity VPS V - with Diamond Touch (OFF) and the new VPS technology (Veneer Precision System) is built with two hand-selected middle veneers that are treated with a unique and exact heating and cooling process with precisely measured time and temperature. Diamond Touch technology gives the outer veneers extra hardness and the surface an incredibly smooth finish and combined with the VPS technology the result is an offensive lightweight blade with outstanding solid touch and feeling. 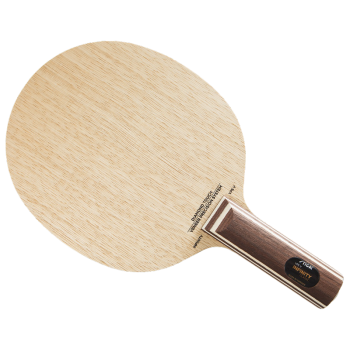 Infinity VPS V gives you the possibility to master the key elements in today’s modern game: aggressive receives which help you gain the upper hand at an early stage, and the possibility to follow up with powerful and aggressive topspin shots.